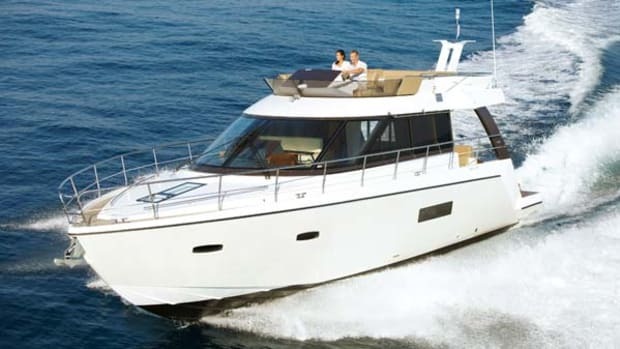 Versatility defines the new Sealine F42 where it seems everything on board serves a dual purpose. The dining area for six on the flybridge converts to an enormous sunpad, and the whole area can be covered by an optional bimini. 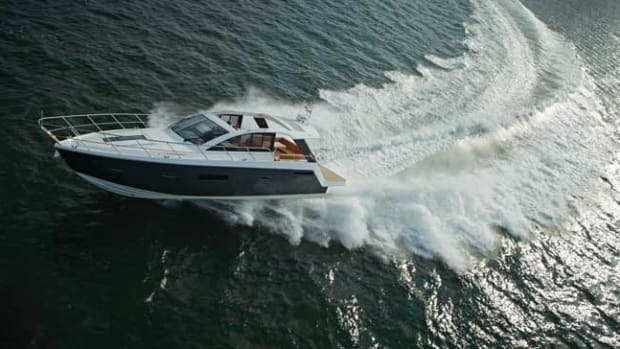 UK-based builder Sealine has new owners, a new CEO and an exciting new line of boats. We had the luck of testing a couple of the new models and fell head over heels for this 42-footer, an absolute gem for fun in the sun. Docked for a few days at the Marriott Marina in Fort Lauderdale earlier this year, the boat became party central and it is no wonder.